Chris' love of Hawaii brought him to Hana, Maui in 2001. Its raw beauty and remoteness and the warmth of the community was overwhelming and it didn’t take long for him to make it his home. Chris purchased a property in Hana in 2001, very shortly after that first visit. For many years Chris owned and operated a bed and breakfast that he built into the number one ranked property in Hana and number three on all of Maui. Chris sold the property in 2016 and obtained a Hawaii real estate license. He is now affiliated with Hawaii Life Real Estate Brokers specializing in the Hana area. He has combined his passion for business with his love for the Hana area. Hana is very remote and offers a different lifestyle from other places in Hawaii. It is known as “the Last Hawaiian Place”. Buying or selling real estate in Hana can involve navigating the intricacies of land use, title and zoning issues. An understanding of the community and its values and sentiments is equally important. 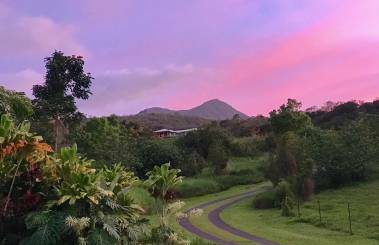 As a full time resident of Hana, Chris offers insight into the uniqueness of this special town. Chris grew up in Santa Barbara where he received a Bachelor’s Degree in communications from UC Santa Barbara, and then obtained his real estate license in 1988. He enjoyed a successful twenty-year career in real estate in the Santa Barbara/Montecito area specializing in estates and unique properties. During those years Chris refined his skills and talents in complex property negotiations, escrow process, and strategic marketing. What Chris learned most was the importance of communicating with his clients. Wherever Chris lives, it is important to him to offer service to the community. He have served as the President of the Hana Youth Center for the last five years and has been a core member of the conservation organization “Malama Hana” since 2006. Chris' previous life in Santa Barbara also involved 20 years of community service for non-profit housing concerns, particularly hospice services. Chris enjoys traveling and discovering the world and is passionate about his business endeavors, but utmost, he loves spending time with family and friends and enjoying the simplicity of life in beautiful Hana. So, You Want to Live in Paradise?